You are an undercover cop looking for vengeance in modern day Hong Kong. You play as Wei Chen, an undercover cop and martial arts expert. Very very good. The game has surprised me with how well most things are put together. The graphics in Sleeping Dogs are a bit above average in my opinion. The cars, people and landscape of Hong Kong all look quite good. The game has good visual effects when it rains, the ground shines due to the water and the character gets visibly wet. The character also gets visibly injured during fights as he clothes get stained with blood (blood remains until character sleeps). I wouldn't say anything about the audio is absolutely amazing but I find the audio to be of a good quality. The voice acting is good and the characters float between speaking English and Chinese so its probably better to have the subtitles on for the cut scenes. The radio is a bit of a let down in my opinion. The music is all well and good but my favorite part about the radios in the GTA series is the DJ and ads both of which Sleeping Dogs skimps on. The radio is pretty much just music and that's it, I only remember a couple of seconds of a DJ talking and I don't ever remember hearing ads. The sound effects of the game are quite enjoyable, the engines sound fine and the combat sounds are decent although a little cheesey at times perhaps. The combat is incredibly fun (frustrating sometimes). The game is all about using Wei Chen's martial arts skill, weapons are available but only ever temporarily e.g melee weapons get dropped after a few hits and guns after they run out of ammo. In some ways the combat feels a little bit like Arkham Asylum as the melee combat is combo and directional based. It makes you feel very very happy when you get a lovely fluid move going in a fight against a big group of enemies. The combat is based on light and heavy strikes combined with counters and grabs. Countering enemy attacks doesn't seem to do a whole lot of damage to them but prevents them doing damage to you. When you grab an enemy you are given a few options as to what you can do the them, You can straight up hit them, throw them or check the environment for a quick (and satisfying) instakill on the enemy in question. I find the combat can get frustrating at times due to how quickly Wei dies depending on the type of enemies he is facing. Wei is capable of a certain amount of parkour when navigating Hong Kong by foot. He can slide over low obstacles and jump through windows. This allows Wei the ability to move quickly through Hong Kong on foot. I quite enjoy driving in Sleeping Dogs. 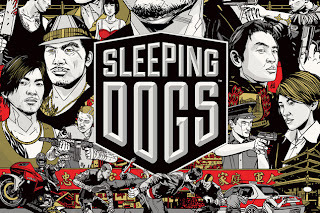 I don't usually enjoy the mandatory race type missions in open world games but I actually quite enjoyed racing in Sleeping Dogs because the cars drive a little bit like cars in oldschool racing games. 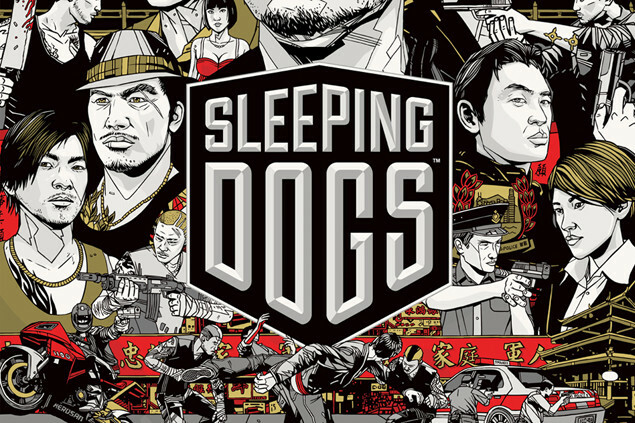 The main story of Sleeping Dogs isn't all that complicated but it is designed in a very innovative way. You are an undercover cop and while you are on a mission lose "cop points" for doing illegal things and gain "triad points" for doing things a gang member would approve of. At the end of a mission you get cop and triad points which gain you points you use to unlock things from the cop and triad skill lines. I enjoy the cases in Sleeping Dogs quite a bit. Cases are clusters of missions where you work with the uniform police helping them investigate murders, bust drug rings etc. There are some bad points to the missions as well, the little mini "favors" can be a little repetitive and all the drug busts are identical (beat thugs, hack camera, mark same guy in suit for arrest).